Yes it is that time of year again. Friends and family from far and near will be stopping by whether you are ready or not! 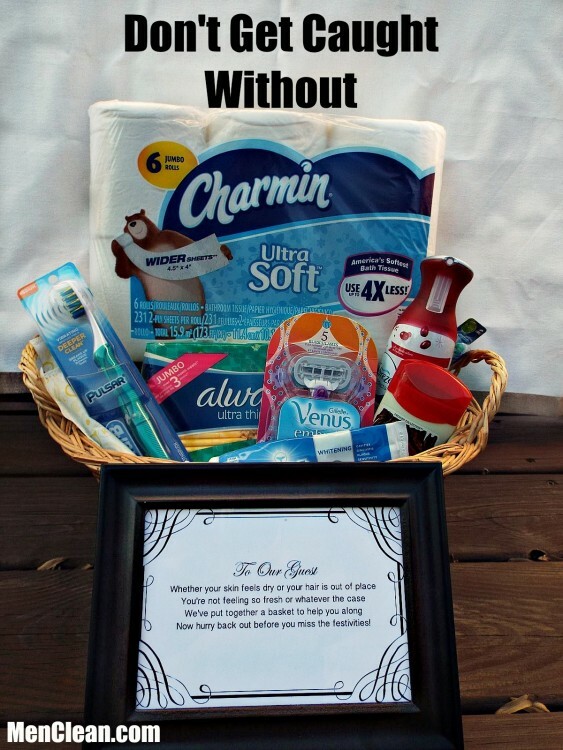 Let’s be frank… it is embarrassing to find yourself sitting on the toilet in need of toilet paper. 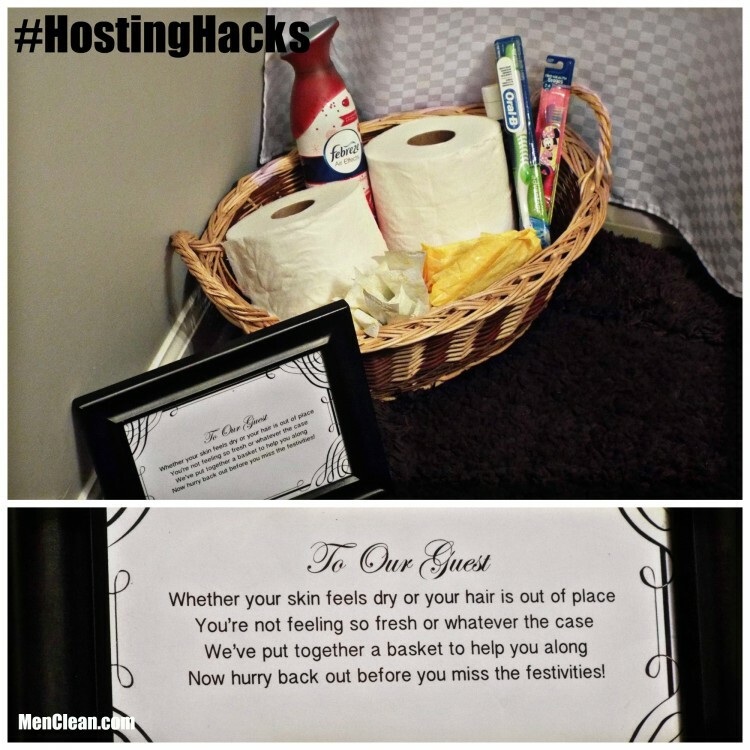 Maybe you have to bang on the wall or yell to get your host’s attention to ask for toilet paper. 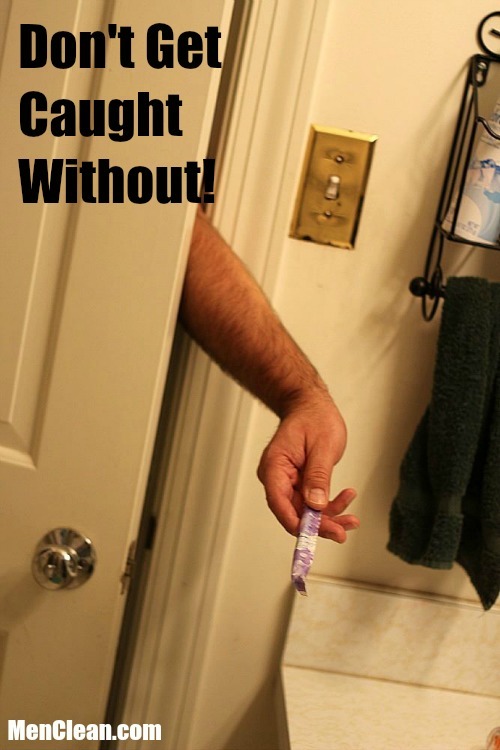 Even worse, what if your wife has to run out to the store to get more milk and that is when your sister in law needs to know where she keeps the tampons, yikes!!! These embarrassing awkward moments can be avoided with the proper planning and organization. We don’t want you to get caught in a messy or awkward situation. So here are a few tips to help you prepare this Holiday Season! I now keep a small basket in the guest bathroom and even in our hall bathroom for our guests! I keep it fully stocked so that way if there is a need it is there! You will be the Holiday Hero for having this basket so full and prepared! Here is a list of items that I keep handy! Find all these plus more here. Speaking of keeping these items in stock, Costco is prepped and ready to serve you during this Holiday Season. You can pick up all these Procter & Gamble items we mentioned plus more such as; Tide Advance Power, Tide Pods, Gain Original Fresh, Downy April Fresh, Cascade Pacs, Febreze Car, Swiffer Refills for Wet, Dry and Dusters 180s, Mr Clean Magic Erasers, Tide Powder, Tide Original, Bounce, Downy Infusions, Cascade Advanced Power Powder or Cascade Advanced Power Gel. As you can see Costco is full of items that you use on a daily bases and now you can be stocked and ready for when your guest arrive. No more, Let me run out real quick missing out on fun and special moments. This one stop shop Has It All! You can be the Hostess of the Holidays by shopping at Costco AND Don’t Get Caught Without these items! 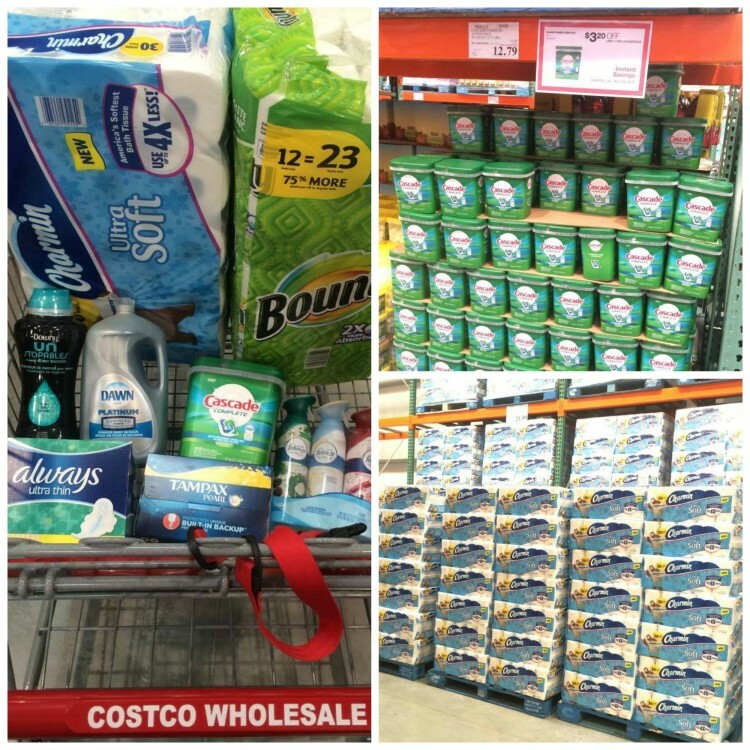 Check out all Costco’s amazing, Don’t Get Caught Without products here. 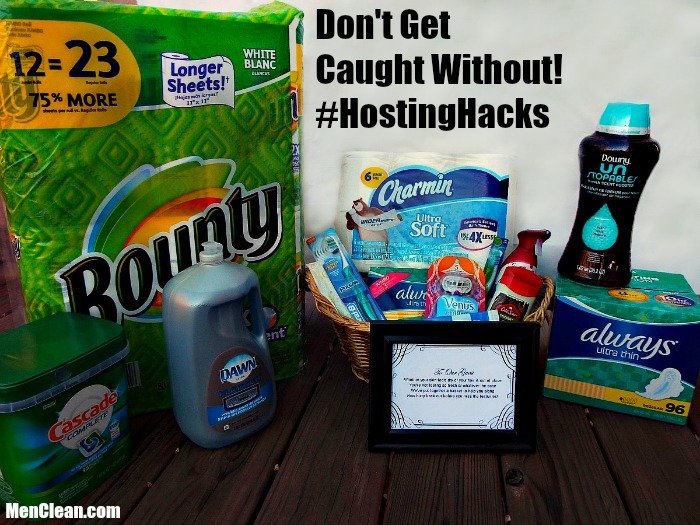 And please share with us how you keep stocked and prepared for when your guests arrive. We want to hear and see your great ideas!